You say potato, I say citizen of Mars. Space travel in the vegetable kingdom. One of the things I love about my particular niche in the space world is that it brings me into contact with artists working in science and technology. 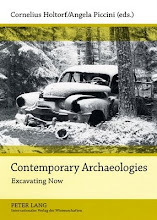 This kind of interaction is also a feature of the archaeology of the contemporary past. 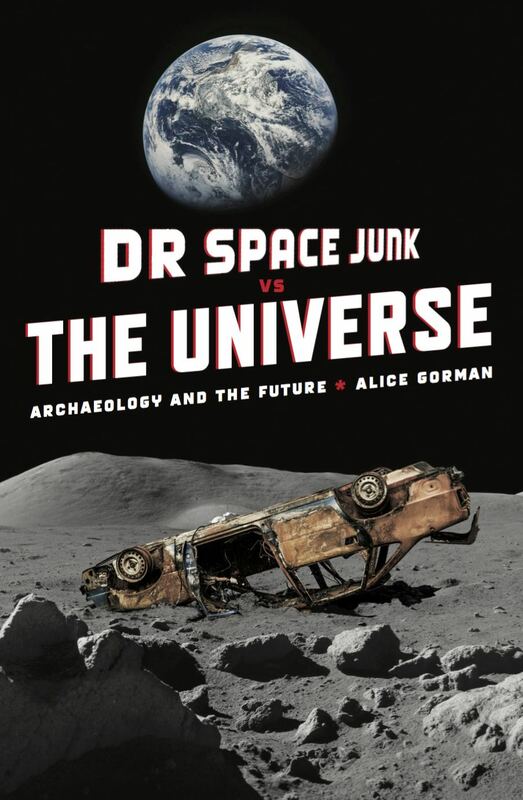 I like to think that both are about the transformative potential of material culture. 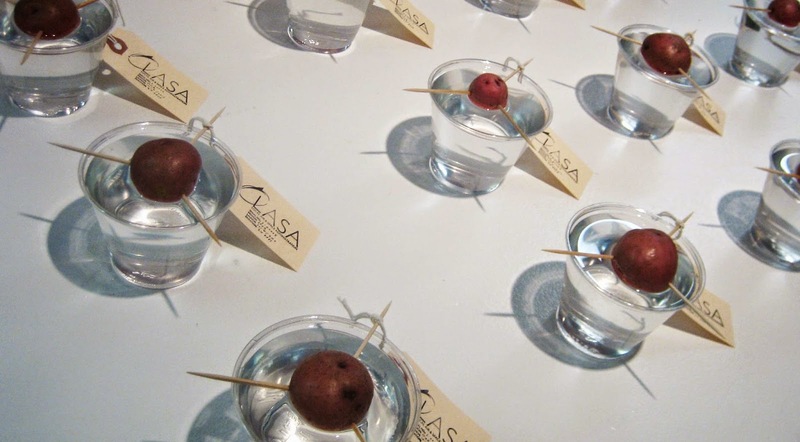 In 2010, artist Jonathon Keats created the Local Air and Space Administration (LASA) and launched the research careers of vegetable astronauts. This project has always appealed to my interest in amateur, popular, citizen engagement with space and I've been meaning to write about it ever since. Ostensibly, Keats was frustrated by NASA's abandonment of interplanetary exploration back then and decided to take matters into his own hands. Without launch capability, he had to take a novel approach: don't go to the stars, explore the star stuff that has come to us. I took an ordinary chondrite meteorite and smashed it with a hammer, and then I planted these two cacti in the rubble since cacti sometimes grow in rocky soil. They lived on the asteroid isolated under a bell jar for twenty-one days, exploring the alien terrain by osmosis. 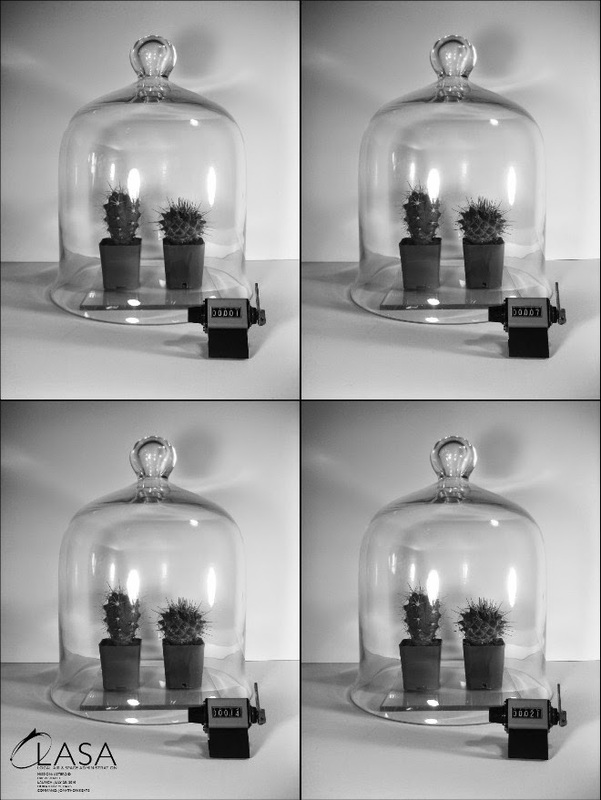 The total cost was around $25, plus $2.99 each for the cacti (Interview, 21 October 2010). The technology is fairly rudimentary – mostly just a funnel and some coffee filters – but anybody who's watched Apollo 13 knows that complexity can be deadly. By incorporating the exoplanetary minerals, Keats argued that the potatoes were being transformed into aliens. 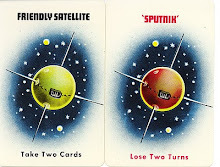 'On certain matters, such as the nature of Mars', he said, 'potatoes now know more than we do'. Space travel wasn't just for the succulents and spuds, though. 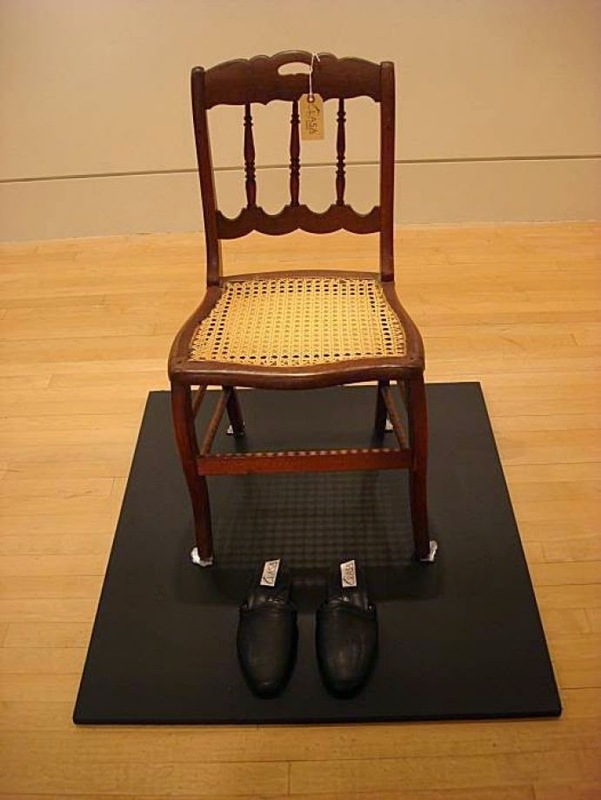 Keats mounted a chair on pieces of meteorite and embedded more pieces into the soles of slippers: in this way, on rising from the chair and putting on the slippers, any walk you undertook was a space walk. And by imbibing the lunar, stellar and Martian mineral waters, sold for a 'reasonable price' by the LASA Exotourism Bureau in San Francisco, humans could also be transformed into alien hybrids. There's so much I like about this project. 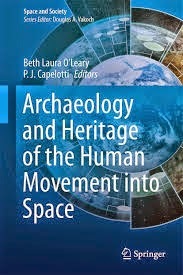 I have to confess that I struggle with the idolisation of astronauts; there's something about the predominant narrative of the white, male colonial frontier hero that I find irritating. (The greater diversity of astronauts these days has dulled but not eclipsed this trope). There's a wonderful subversion in claiming these qualities for something without a brain. Keats says: 'here's the chance for children to look up to potatoes as heroic, just as John Glenn and Buzz Aldrin were once role models'. Spacewalk slippers. Photo by Carolyne Zinko. 'Bargain basement procurement' is a model of space innovation that I admire because it makes space accessible. 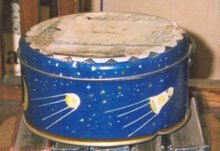 One of my all-time favourite spacecraft, the Australis Oscar V amateur satellite, was built using begged, borrowed, and off-the-shelf hardware store components. Similarly, Keats created a space programme with approximately $200 USD. He bought the meteorite fragments on eBay, and the hammer to smash them up with. It's also about the materiality. 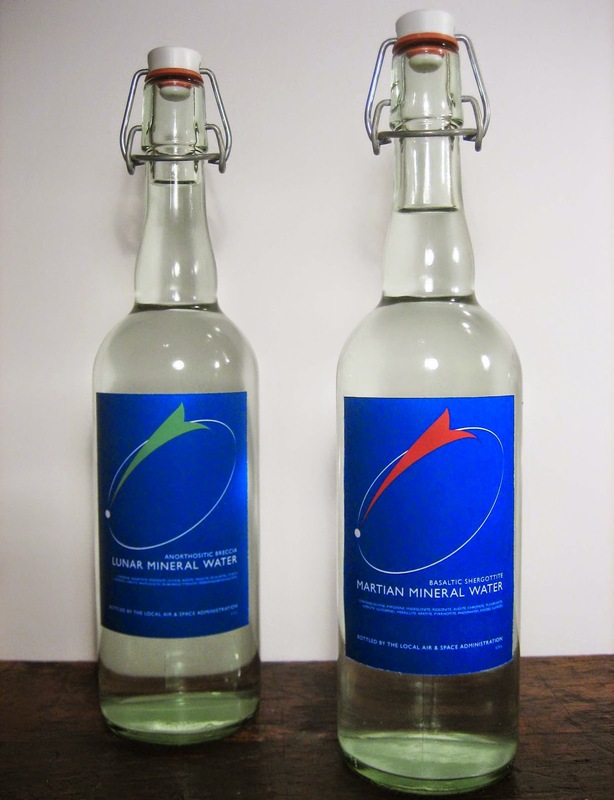 The tiny bits of interplanetary, interstellar star stuff, even if you can't see them dissolved in the mineral water, have a talismanic quality. By their authenticity, they can transport you to other worlds. It's you who does the thinking, but the particles from outer space are like scrying crystals that focus your inner gaze until your insides are turned inside out and expanded to fill the universe. You become a TARDIS. I think it has the potential to change your perspective on everything, from immigration policy to the environment to what it means to be human. Of course by colonialist standards, potatoes will have territorial claim to Mars since they've beat Homo sapiens, and what's most hospitable to them may be to inhabit it without us around. I have bad news for Keats, though. He was not the first to train vegetable astronauts. 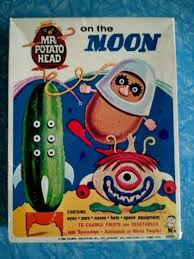 In 1968, Mr Potato Head went to the Moon.